Make sure the camera system is watertight before you get into the water. The Aquatica A6500 is a housing designed to be small, compact and easily handled just like the camera that it is designed for. With 24.2 MP stills and 4K video capabilities coming in at a retail cost of $1,399.00 USD the SONY Alpha 6500 is a great camera for the beginner and professional Underwater Photographer alike. This camera is a powerhouse of technology just like its predecessor, the A6300. Aquatica has made their Power saddle also available for this housing to allow the user to fully enjoy the system underwater. 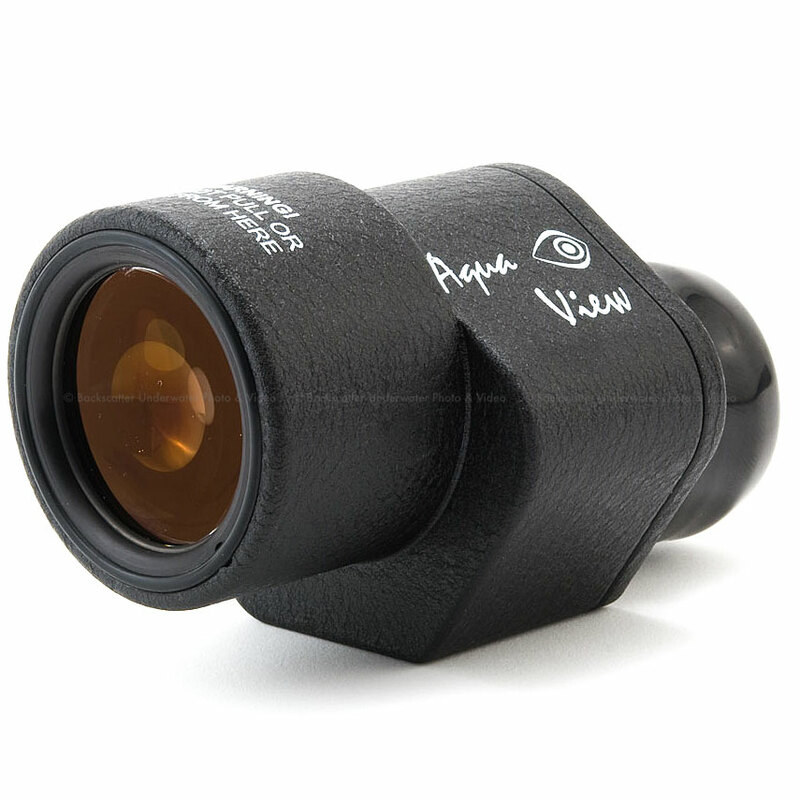 Aquatica Digital is proud to announce the support of Aquatica's Aqua View Finders. 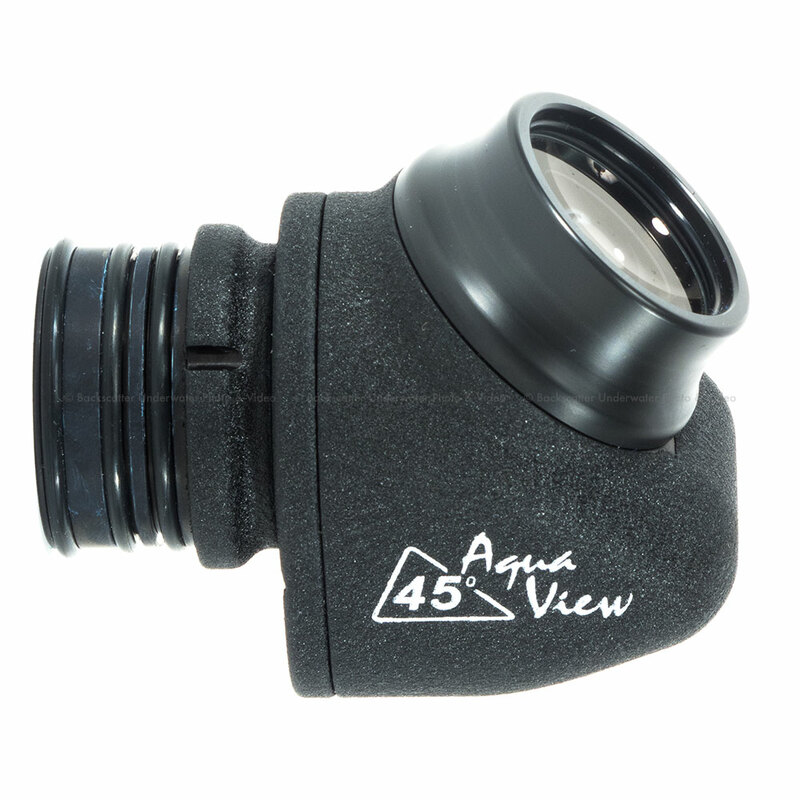 The A6500 will come standard with Aquatica's eyepiece and the housing allows the user to switch between the Aqua View 45 and Aqua View 180 Finders without having to change the LCD window of the housing. Upgrading to these Finders gives the user a 1.2 magnified view of the electronic viewfinder, allowing for improved underwater viewing. 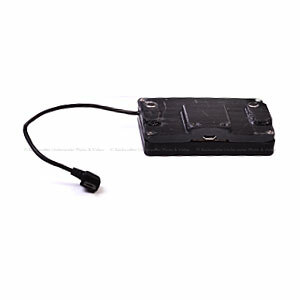 These finders are among the best finders available on the market. Aquatica is world famous for having the most comfortable hand grips on the market and Aquatica is excited to announce that these grips have been adapted for the A6500’s smaller size. Aquatica has been able to include these grips as part of the A6500 package in the form of a highly modular tray to mount either strobes or video lights to the top of the grips. The tray itself can be moved left and right for added comfort. Furthermore, the tray brackets can be independently adjusted to a forward, mid and back position while the grip brackets can be adjusted to an inward, centered and outward position from the housing, thus allowing for you to have industry’s most ergonomic control access available. Additionally; an adjustable Aquatica nylon hand strap is included at no extra cost allowing for the avid freediver, or available light shooter to streamline their profile by removing the handles. The A6500 can be used with or without grips. The right side of the housing has been designed so that you can comfortably hold and operate the housing with your right hand with the shutter button positioned to naturally rest under your index finger. Additionally, at the rear of the housing, Aquatica has provided access to many of the camera’s functions. The controls can be easily reached by simply moving your thumb, thus allowing you to never have to remove your hand from the shutter lever. Primarily among these controls is the record button which has been given a large red oversized button for ease of use. For those that prefer a steady hold on the housing, the Aquatica grips and shutter extended trigger are available, allowing for a more traditional hold of the housing underwater. Aquatica has ergonomically placed the control dial at the rear of the housing so that it gives you quick and easy access to shutter speeds, aperture, white balance and the ISO of the camera. At the core of the design is the shell, machined on a state of the art 5 axis CNC machined from a solid block of 6061 T6 aluminum alloy. 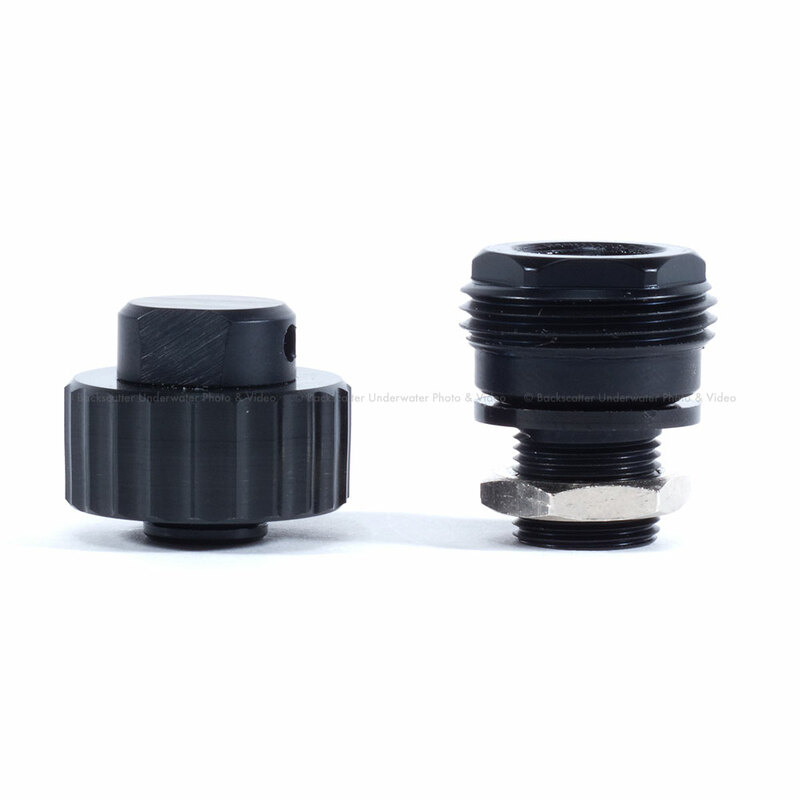 The shell is then anodized and painted with a black polyester powder coating. This type of finish is capable of handling the toughest conditions a professional photographer can throw at it. Aquatica is immensely proud of how often Aquatica's clients at rental dealerships praise Aquatica's trademark crinkle powder coat finish being as “tough as nails”. What is often noted is that housings that only have an anodized finish do not stand up to the abuse rental housings are exposed to, therefore making Aquatica housings the ideal choice. Aquatica's control shafts and push buttons are made from the finest grade of stainless steel available rather than plastic or less expensive metals. This ensures the most reliable performance on the market. The housing shell has two entry points for connecting strobes plus two others for adapting various accessories. The housing is sealed with Aquatica's signature rotary closure made popular on Amphibico cinema housings. There is also a large 16mm diameter access point on the left-hand side which is ideal for connecting a video monitor. 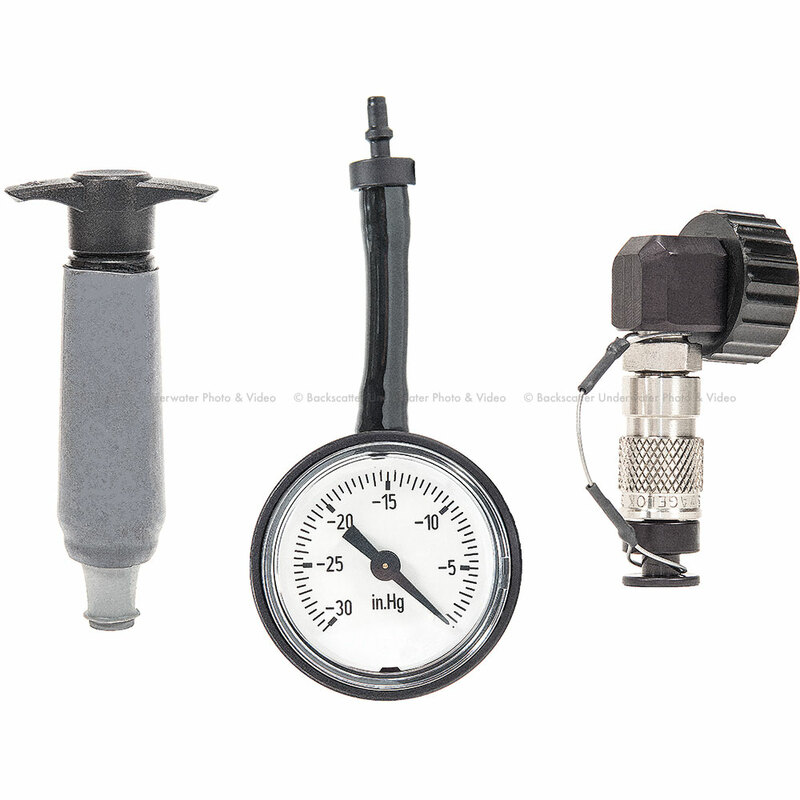 Located on the left-hand side is a standard 1/2” diameter access point for the optional Surveyor vacuum valve to ensure a watertight seal prior to your dive, thus giving the shooter watertight piece of mind. Every underwater shooter’s needs are different, as such Aquatica offers a full complement of flash triggering options to suit those needs. 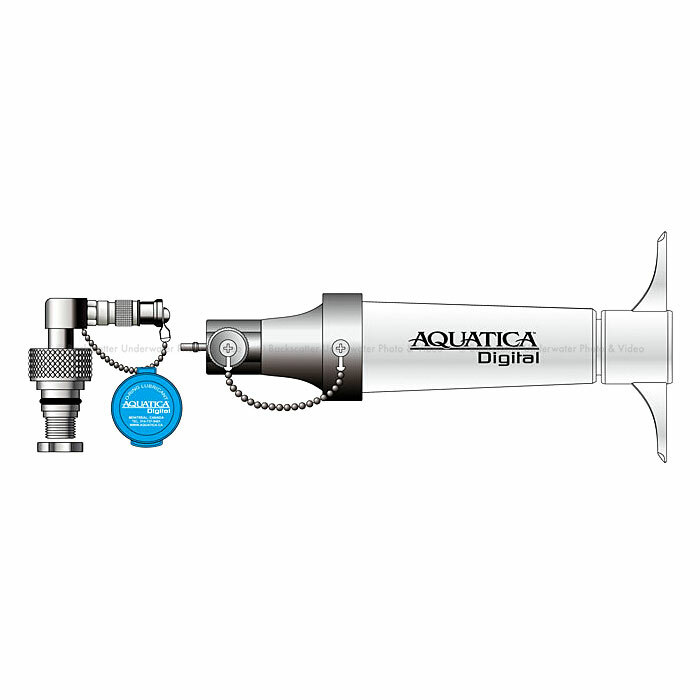 Whether you use basic fiber optic connections or the hard-wired flash connections with which to fire your strobes independently, Aquatica has you covered with Aquatica's impressive line up of available flash connectors. Aquatica felt that a camera like the Sony a6500 needs to support the best lenses for the best optical results possible. Aquatica has created a full line of extension rings and adapters for both Aquatica's mirrorless ports as well as Aquatica's standard port line up. Aquatica's support will cover the unbeatable Zeiss Touit 12mm 2.8 rectilinear wide angle lens as well as the ultra-sharp Zeiss Touit 50mm 2.8 macro lens. This is followed by the stellar Sony 90mm 2.8 macro with manual focus support, and of course, the industry’s favorite Tokina 10-17mm fisheye Canon mount with Metabones adapter. Last but not least Aquatica supports the Sony 10-18mm and 16-50mm “kit” zoom lenses and by popular demand both the Sony 16mm and 18-55mm lenses.